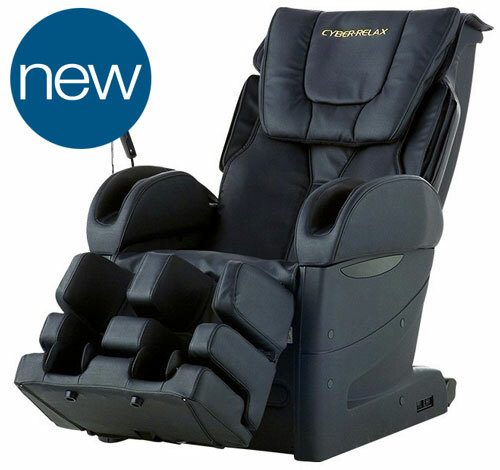 Shoppers can now buy the Fujiiryoki Cyber-Relax EC-3800 and Cyber-Relax EC-3700 massage chairs from the Massage Chair Experts. 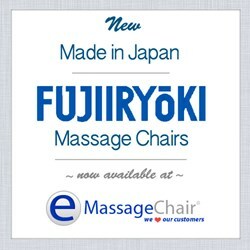 Emassagechair.com will now be carrying Fujiiryoki massage chairs. The Cyber-Relax EC-3800 and Cyber-Relax EC-3700, both of which are Made in Japan are now available for purchase. 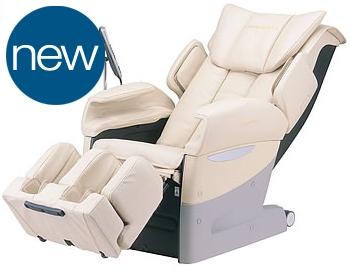 Fujiiryoki has been designing and manufacturing massage chairs and health products since 1954. Just in time for their 60th anniversary these massage chairs are now available at the home of the massage chair experts. This is very exciting for shoppers interested in learning more about the Fujiiryoki brand and how the massage chairs provide some of the best therapy experiences. 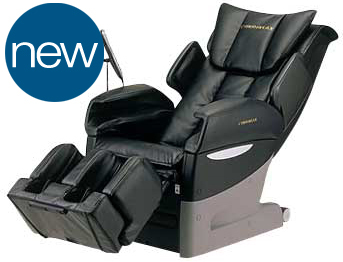 The Cyber-Relax EC-3800 is Fujiiryoki’s top of the line massage chair. This massage chair has a wide variety of customizable features and functions. Most notably is the 4D massage roller that is only available on the EC-3800. This 4D technology helps give the user of the chair more control of the massage mechanism located in the back of the chair. This is most commonly known as the massage roller. The Cyber-Relax EC-3800 has options that allow you to pick either a manual or automatic program to start the massage. While a person is using an automatic program they can also adjust different levels of intensity of the roller and airbags. A user can also choose a more controlled and specific function by using the Manual Programs. This allows someone to pick the style of massage, shiatsu, kneading, tapping, etc. It also allows them to position the massage roller in a specific area or run along the entire back. One very unique feature to the Cyber-Relax EC-3800 is the Airbag intensity controls. Each Airbag can be controlled independently allowing a person to choose an intensity in each area, like shoulders, seat, waist, arms, or the feet, or shut them off completely. The Cyber-Relax EC-3800 also has a specially designed Kiwami Deep Tissue massage, and 12 levels of roller intensity in total. A user can also save programs in the memory function to save the exact therapy session they desire. Someone looking for a very deep and therapeutic massage experience will benefit greatly from the Cyber-Relax EC-3800. The Cyber-Relax EC-3700 that has been around for several years also has some very unique massage features. This chair has a wide variety of customizations with the roller, being able to pinpoint specific areas, or run through a variety of programs. If a person wants to customize their massage they can do this by choosing manual settings and picking the exact massage style and massage roller placement they want. The EC-3700 has a 3D massage roller that allows someone to find a comfortable or firm level of massage. The EC-3700 has many of the same functions as the EC-3800 just not as many, and not as many options for customization, like strength for the rollers, or airbags. Some of the more notable massage functions are the waist twist, and stretching programs. To make the massage experience comfortable for many different types of users each chair has a removable backpad, and you can move the ottoman and backrest independently. The remote controls for both massage chairs are very easy to use. Fujiryoki also provides a 3 Year Limited manufacturers warranty on both chairs. Fujiiryoki stands behind their massage chairs by designing them and manufacturing them with the highest level of standards. These Japanese made massage chairs are going to make a great addition to the other massage chairs now currently available at https://www.emassagechair.com/. 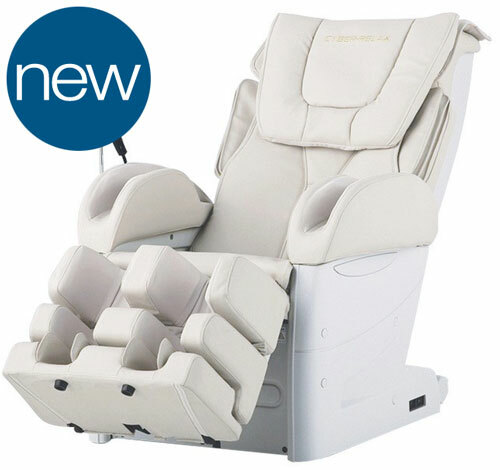 To learn more about the Fujiiryoki Cyber-Relax massage chairs you can talk to a massage chair expert by calling 888.360.9996 or emailing support(at)emassagchair(dot)com.